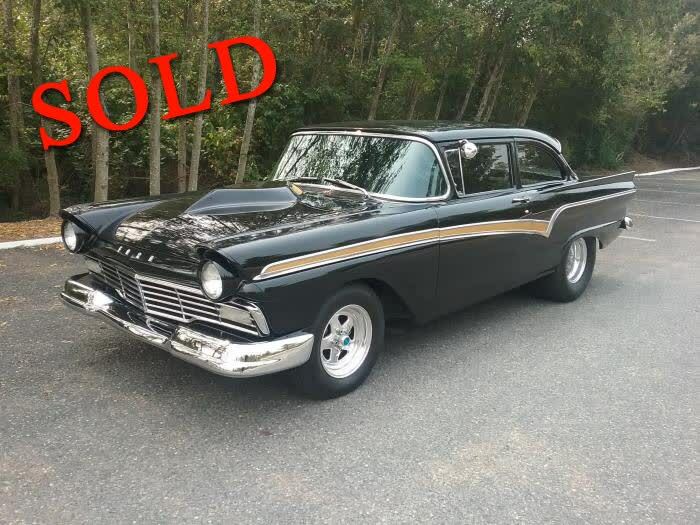 This 1957 Ford Custom 300 has been sold. 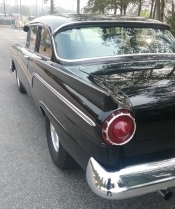 Up for sale is a 1957 Ford Custom 300. Here are just few details about this great little car. Has a built 351 Windsor with a top loader 4 speed and narrowed 9 inch rear end with new Richmond 370 gears and new Currie axles, Track Lock, 11 inch clutch , Flowmaster exhaust, new Power brakes , nice Stereo, rebuilt front end, Coil Over rear shocks, roll bar, with BMW Power Bucket Seats, Lakewood scatter shield, Hurst linkage, Roll bar and drive line hoops, Hoosier street radials with 15 inch wide rear wheels. This car is fast and fun to drive and you can drive it anywhere. 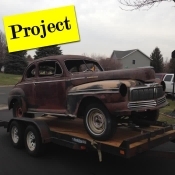 This is an opportunity to own a very reasonably priced, turn-key classic car for half the cost of duplicating the restoration. 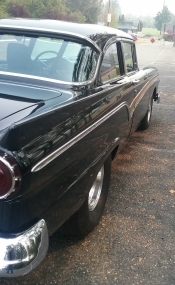 It has the right stance and sounds powerful through the Flowmaster mufflers. Windshield has no chips or damage -- all glass is good. It has been converted to have electric windshield wipers. Runs great, sounds big, and looks cool too. This page has been viewed 1805 times.